Member Advisory Board. 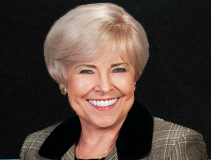 Ms. Silcox has 45 years experience in the travel industry beginning with PanAm in Honolulu; has managed travel agencies in Dallas and Denver; a manager at SatoTravel; and a contractor on the GOVTRIP proposal team for Northrop Grumman. Presently, Ms.Silcox, is the Key Account Director Government for the Intercontinental Hotels Group.